HEAP, the Home Energy Assistance Program, is a popular program that helps families with their heating bills each winter. NOTE: HEAP Programs begin in late Summer or Fall and usually end by the end of December or January. First come first served basis. 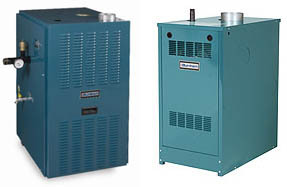 you may apply for a FREE Boiler through the HEAP program if you are income and asset eligible. Two (2) quotes (estimates) from HEAP approved vendors. HEAP vendors give free estimates. Resource info; latest bank statement for checking and savings accounts, and any other assets. Homeowners should bring mortgage or real estate tax papers and their deed. Come to 387 Kingston Avenue to apply for a grant that will be paid towards the Electric, Oil or Gas bill for the fuel you use to heat your home. Gas customers: Our staff will also help you apply for the Neighborhood Fuel Fund for additional fuel assistance, while it is still available. 3) Birth certificates (or Passports) and social security cards for family members. 5) Proof of Citizenship (Citizenship paper). 7) Letter for child 18 and over that he/she is in school. Call and request a quote (estimate) from each HEAP approved vendor. HEAP vendors give free estimates. What is the HEAP Cooling Assistance Program? The HEAP Cooling Program provides for the purchase and installation of air conditioners (that do not to exceed $800) or a fan for eligible households. Only one air conditioner can be provided per dwelling. No additional HEAP cash benefits are available. The HEAP Cooling Assistance Program’s benefits and services are provided on a first come, first served basis to eligible households. Any household where there is an individual who has a letter from a Medical professional documenting that their medical condition is exacerbated by heat. No air conditioner in the household. Household’s monthly income amount that does not exceed the HEAP income guidelines shown below. Households that received a HEAP funded air conditioner within the past 10 years are not eligible. Households that received only $1.00 regular HEAP benefit payment amount are not eligible for the HEAP Cooling Assistance Program. Applications for the HEAP Cooling Assistance Program will be accepted beginning May, 2018 through August 30, 2018, or until funds are exhausted, whichever comes first. If a household meets the eligibility requirements, they must pick up an application from the CHJCC office, set up a meeting with Mr. Yarmush, and bring to the meeting proof of income and the letter from a medical professional. Mr. Yarmush can be reached at 718-771-9000, ext 7730 / 7746 for further assistance and to set up an application meeting. Who will install the air conditioner? Crown Heights Jewish Community Council is a participating Program Installer. Once your application is approved, CHJCC will schedule and perform the installation. It will be your responsibility to maintain the air conditioner. This includes the responsibility to remove, cover, store, and/or reinstall the unit or the installation sleeve for the winter if you so desire.